Save 10% when you receive 5 or more products in one month to one address with auto-deliveries. Currently, you'll save 5% on your Jul 23 delivery. 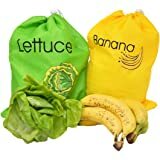 Amazon's Choice for "green bags for fruits and veggies"
Sold by Allstar Product Innovations and Fulfilled by Amazon. Gift-wrap available. HOW IT WORKS: REDUCE WASTE & SAVE MONEY Fruits, vegetables, and flowers release ethylene gases during the natural ripening process after harvest. Exposing produce to these gases accelerates aging & deterioration. 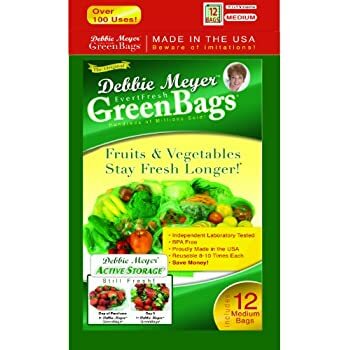 Independent laboratory testing shows that Debbie Meyer GreenBags help extend the life & freshness by removing the ethylene gas creating a beneficial storage environment. Giving you more time to enjoy your produce & reducing food waste. That in result saves you money! 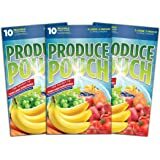 FRESH PRODUCE REUSABLE BAGS Buy & store in bulk without worry! 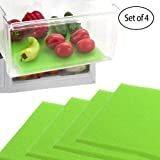 Perfect for: bananas, strawberries, grapefruit, grapes, oranges, apples, peaches, berries, cherries, kiwi, tomatoes, lettuce, cucumbers, avocados, asparagus, carrots, fresh cut flowers, fresh herbs, and much, much, more! Even works great with organic produce. Take with you whenever your packing food to go; camping, road trips, packed lunches, picnics, and more! 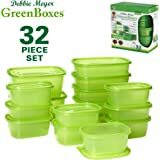 BPA FREE & MADE IN THE USA - Debbie Meyer GreenBags proudly made in the USA, BPA Free, independent laboratory tested and proven to work. Over 1 Billion Bags Sold! 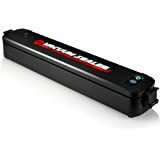 Sold by Allstar Product Innovations and ships from Amazon Fulfillment. Sold by HomeStart and ships from Amazon Fulfillment. 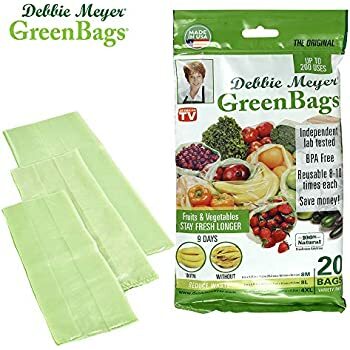 Help extend the life of your fruits, vegetables, breads, flowers, and leftovers with reusable Debbie Meyer GreenBags and GreenBoxes. Use in the fridge, on the counter-top, in your pantry, or on the go. Unique, proprietary combination of natural substances create a beneficial storage environment. 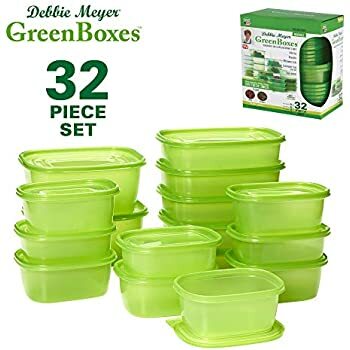 Store perfectly and extend the freshness of your produce in Debbie Meyer GreenBoxes. Keep your foods organized and looking great wherever you go. BPA free Reusable Bags- Get Up to 10 Uses per Bag. Simply rinse and dry the bag to use next time. Always keep different foods in separate bags. 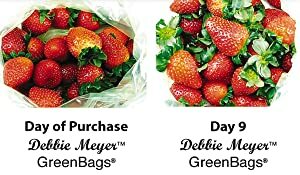 Debbie Meyer GreenBags delivers a revolutionary preservation solution for your produce and flowers. Never waste money again on fresh produce that go bad the next day. 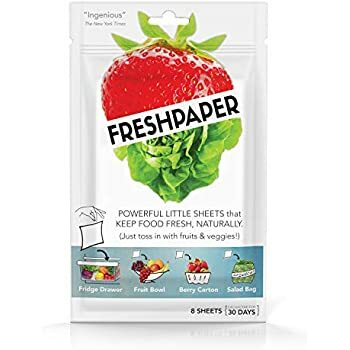 GreenBags will keep your fruits and vegetables fresh for up to 30 days. Great for preserving makeup, medicine, art supplies, and even keeping shoes from smelling in your luggage. There are so many uses for GreenBags. Produce should be dry before placing in bag. 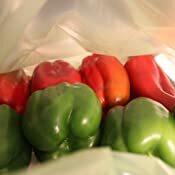 Simply place fresh produce in bags and wash/rinse produce as usual before use. If storing washed produce, be sure to dry thoroughly before inserting in bag. Fruit and vegetables contain moisture. 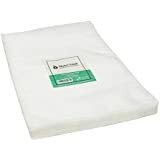 If moisture builds in the bag just wipe out with a paper towel and keep contents as dry as possible during storage. 5.0 out of 5 starsThese work great...just keep them dry inside!!! back in...then just quickly wipe off the moisture on the outside of the bag. 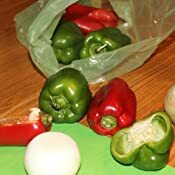 A ot of grocery stores spray water on their produce to make it last longer and look better in the store and then when you get it home it rots a lot faster. As soon as I get home I put all my produce in a Debbie's green bag...carrots, celery, tomatoes, yams, cucumbers, zucchini, avocados, lemons.....If you keep them "dry" inside your produce will last so much longer. So take that extra effort it is no big deal and I guarantee you will save money because you won't have to throw away as much produce when it rots! It also comes with a variety of sizes. I even keep my grapes in them and they last longer too! Received these Debbie Meyer bags yesterday (7/10/2017). Opened the variety pack and got out a small bag and placed some fruit in it then selected an extra large bag and started placing apples in the bag and realized the bag had a large hole, got a second bag and it was the same. The third bag was OK. It looks as though the bags had been cut with a box cutter; the cut was at an angle across the width of the bags. The bag containing the Green Bags was not cut; this is a manufacturing or packaging problem. I did read about some other reviews that said others are having the same problem. I called the manufacturer (lifetime Brands) and on the second representative (first on hung up on me) was able to get their attention to the fact that they had a problem. 5.0 out of 5 starsThese really work! These bags are great. I am single so don't always use up my fruits and veggies very fast. 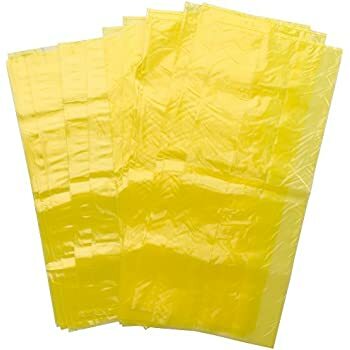 These bags definitely keep them fresh for a noticeably longer time. 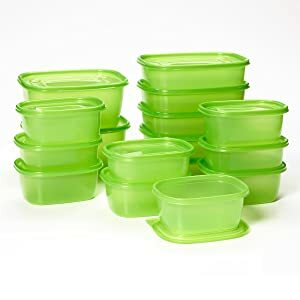 I actually rinse them out and reuse them multiple times and I've still gone through a couple of packages of them over the last few years because they work so well. I put fruits and veggies in them as soon as I get them home, unwashed (and dry if they were damp when I bought them). 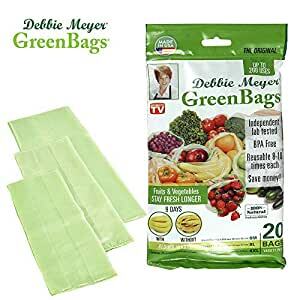 We have used Debbie Meyer Green Bags for years. 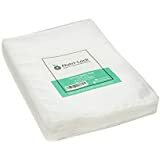 We always purchased them from Bed Bath and Beyond (BBB) or other stores. In May 2014, we ordered this item from Reeady Green Bags via Amazon. 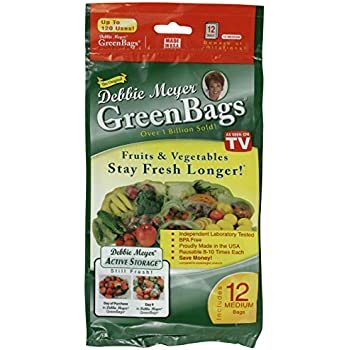 The product we received indicates Debbie Meyer Green Bags however the bags are flimsy and not the quality of Debbie Meyer Green Bags. They are also made in CHINA. Thinking that perhaps the product line was changed, today we purchased additional bags from BBB. The purchased bags from BBB are the quality we are use to and are made in the US. We have been deceived by the Reeady's advertising and product! These bags did not work for me. They produce a lot of moisture. The instructions say to always wipe the bags dry when moisture forms. I did that, but the fruit turned rotten just as quickly as the fruit I did not put in the green bags. I will continue to use regular storage bags lined with paper towels. I am a big warehouse shopper and in the past often couldn’t eat all those berries or lettuce before they went bad. So, followed directions and made sure produce was dry (lettuce, spinach, asparagus, and blueberries). 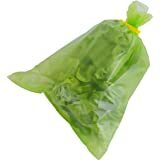 For the lettuce and asparagus, saw a little condensation in the bag, so put a paper towel in the bag where moisture was accumulating. 2 week’s later (less several servings), berries were almost as fresh as Day 1. Lettuce was still crisp and crunchy (romaine), and only a few pieces of spinach were starting to wilt. Asparagus were crisp as well. 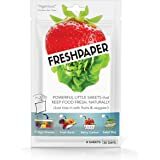 I would definitely recommend and will continue to try with other fruits and vegetables (onions are in bags too, just haven’t used them in 10 days). They work for my bananas; make my lettuce damp; green onions love it.. . 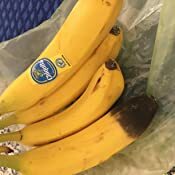 I use a lot of bananas for smoothies so there tends to be too many bought at one time therefor I find myself tossing overripe ones or those which are getting too close to it. 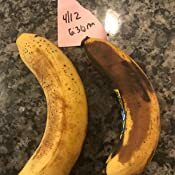 I know ALL about the benefits of and uses for ripe bananas (including teas made with the peel) but I am a person that cannot stand that 'ripening' taste of a barely starting to brown banana - gag! It is such a repugnant, fume-like taste. 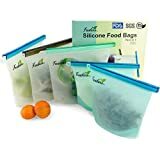 These bags are helping my potassium babies hang in there but it's hit-or-miss with other fruits/veggies. If it's important to try to preserve certain foods then, for me, they are worth it. For 3 or 4 years, I had bought these bags thru a shopping network, and then a couple of years ago, got a defective order that did not have the bottoms sealed as they should have been. Finally got a refund thru the shopping network, but vowed not to buy them again. 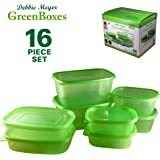 Then a few days ago, my husband mentioned that we were having issues because of surplus of garden veggies and suggested that I look for these thru Amazon. Lo and behold, they were available and Cheaper than I had paid before! These really are a good product and do just the job you want them to do for veggies, bread, fruit.....whatever. I'm just happy with the price and Prime shipping. I'm sure you'll love them, especially this time of year. Good product and great price and service from Amazon. Thanks!